The weekday sketchers will meet in the garden of St Luke of the Fields on Hudson Street near the corner of Barrow Street. Look for the brick wall surrounding the garden. From there we will walk and sketch our way around the "shady" streets of the West Village to draw famous and infamous spots along the way including the Edna St Vincent Millet House (narrowest house in NYC), the Cherry Lane Theater and Westbeth where there is a gallery open to the public. 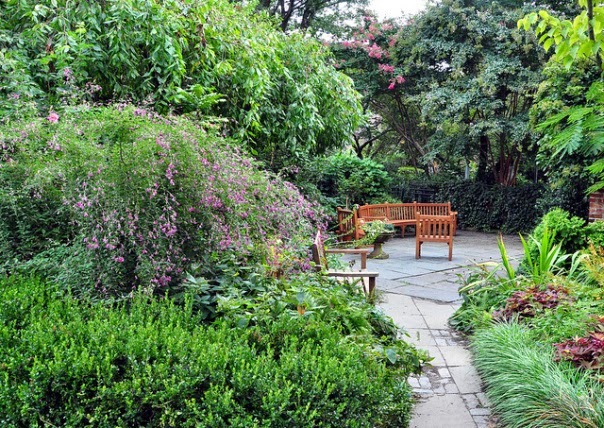 Join us for an interesting stroll through a beautiful park of Old New York. The Church of Saint Luke in the Fields is located at 487 Hudson Street, in Greenwich Village, New York City, at the intersection of Hudson Street and Grove Street. Take the 1 to the Christopher Street station, the 2 or 3 to the 14th Street station, or the A, C, E, B, F or D to the West 4th Street station. - From Christopher Street: Walk west on Christopher Street, away from Sheridan Square, towards the Hudson River. At Hudson Street, make a left. The church is one block to your left, on the west side of the street. 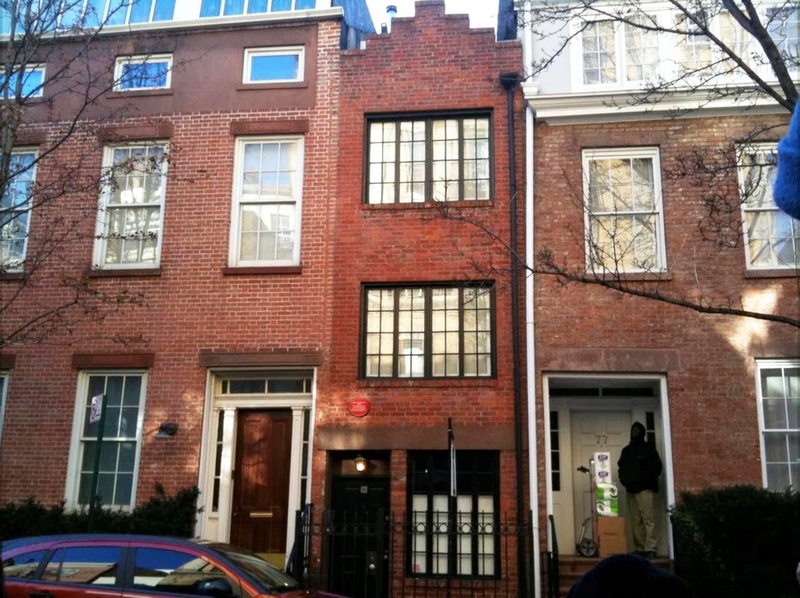 - From 14th Street: Walk south on 7th Avenue to West 11th Street. Turn right on West 11th to Hudson. Turn left on Hudson and walk to Grove Street. The church is on the west side of the street. - From West 4th Street: Leave the station at the south (West 3rd Street) exit. Walk south on Sixth Avenue to Bleecker Street. Turn Right. Follow Bleecker across Seventh Avenue. At Grove Street, turn left. Follow Grove to Hudson Street. The church is across the street. - By PATH: Take the PATH to the Christopher Street station. Turn left upon exiting the station at Christopher Street, and make a right on Hudson Street. The church is one block on the right. SO WE WILL BE ON THE LOOKOUT FOR YOU. Weekday Sketch Celebrates Bastille Day!